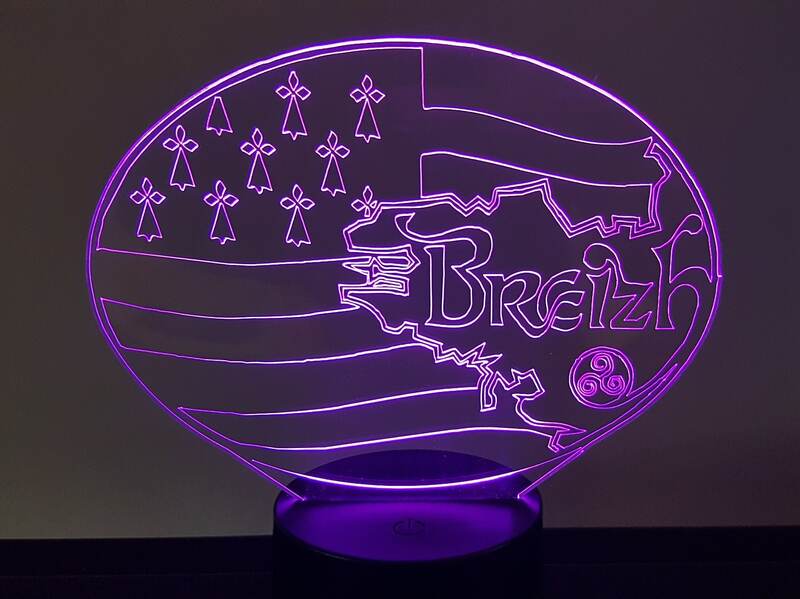 "Flag Breizh" is a very unique exclusive manufacturing. very economical consumption. 0.012kwh / 24 hours. life of the leds: 10000heures. Package includes: 1 base (with housing for 3 AA batteries not included). 1 acrylic plate with design engraved; a usb power cable.